before starting this site, to little satisfaction and many sleepless nights. Andrew and Kaye We started documenting our experience trying to find a suitable mattress that met both of our needs together as a couple sharing a bed, and this site is the result of that. Since we started this site in the fall of 2015, we have slept on over 100 of the leading and new mattresses on the market, so we feel we do have a little bit of experience with what is out there! Before we met, Kaye, who unfortunately inherited insomnia from her father, had used several different brands of memory foam and innerspring mattresses sold in stores which she invested heavily in to varying levels of no-so-successful sleep. Andrew, who has had chronic back and shoulder pain for years, also purchased a leading high-end memory foam mattress sold in retail stores. Then, after being unsatisfied with the purchase, began the long and often painful process of selecting a new mattress to varying levels of success. 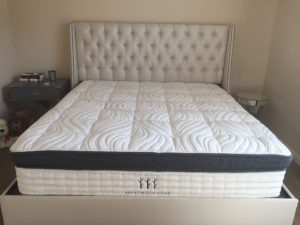 As a couple, we hope to share our experiences with others like us who are searching for a memory foam, latex, or hybrid mattress to achieve the elusive perfect night’s sleep and doesn’t break the bank in the process. Couples have different needs than individual sleepers. Sleeping with a partner often means compromising on individual comfort or firmness when sharing a bed, or worrying about waking each other up when moving around during the night. To that end, we give our opinion and recommendations as to what couples like us actually encounter when choosing a mattress. We are real people, with real experience testing and sleeping on the memory foam, latex, and hybrid mattresses we have here on our site, and often disagreeing and arguing about them in the middle of the night as well! Unlike many review sites out there, we didn’t just research and put up copies of other reviews. Our approach of testing mattresses as a couple has resonated with many mattress companies on the market, most of which approached us asking for our opinion of their mattress. We have slept on over 100+ mattresses since starting this site, and share our real-life experience with each of them in our reviews. In all our reviews you can see our actual bedroom in the photos or videos so you can tell we have had these in our house and tested them in real life. (That’s our bed right there!) We don’t just put up stock photos and write reviews on second-hand information, we insist on testing the products in our own room and every product you see on this site has been used by us. In our opinion, hearing from a real couple that has actually slept on these beds and is pretty well representative of the population (Andrew is 230lbs, Kaye is around half that) is important compared reading about a lightweight single guy in his 20s doing the review. And just reading a regurgitated review that collects facts that are publicly available doesn’t help you know what a mattress actually FEELS like how much it moves around when your partner gets in or out of bed, whether you wake up with a stiff neck or end sweating all night long when sleeping on it. Unfortunately, several of the mattress review sites are exactly that – copied content with no personal experience, or a site that is funded by a mattress company and heavily biased. You can tell by looking for actual mattress photos or videos with real people in the reviews, not just stock company photos being run by an expert in internet marketing living overseas. Be careful of those sites! In addition, we don’t put bowling balls with our logo on the mattresses we test to depict sinkage – how is a 10,15, or even 20lb bowling ball relevant to you as a 100+ pound sleeper going to help you make a mattress decision? It won’t. Silly. We don’t have specialized fancy infrared cameras or other devices to wow you with technology – because as a common person, do you do that at home? No! You want to know what it feels like. You want to know whether we woke up sweaty in the middle of the night, whether Kaye pushed herself off of Andrew because he was sweating like a pig, whether we both had to stick our feet out of the corners of the sheets to cool down. All things that the fancy cameras and pressure point devices don’t show. Again – we are REAL people. We tell you what we think. These are our opinions, and you don’t have to accept what we say as gospel, but we are simply trying to help similar people who have been in our shoes. Its hard to find a mattress that meets both the needs of a couple. We have fought about them in the middle of the night. I (Andrew) have had to move beds at 3 am because Kaye can’t sleep and hates the one we are testing. So hopefully what we say resonates with you, and you understand what it is that we are trying to do. If our site helps you, then we are happy to help. If it doesn’t, last time we checked – there are plenty of other sites with multiple bowling balls and fancy heat maps for you to analyze. To each their own. Brentwood Home Oceano mattress in our master bedroom! All our reviews are unbiased, and based on our own experience sleeping on these mattresses. We rate mattresses based on how much we like them and how they rank on a variety of different criteria. We do receive commissions from some (not all) of the mattresses we review if you purchase one after reading our review, which is a common practice that is shared by ALL mattress review websites. (See our Disclosures page for information on this). 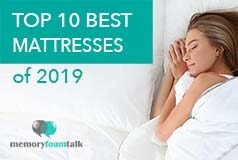 Contrary to what some mattress companies allege – we do NOT rank beds based on what they pay us, we rank them on how we feel about them and how good the are, as well as what beds are popular and what we feel are a good value. Some people (mostly mattress companies that we don’t rank higher than they wish! ), have a problem with where we rate things. Every company wants to be #1. 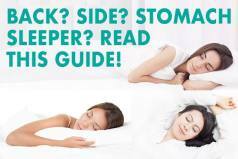 In our mind, this is a mattress review site for you the buyer, that is focused on helping customers such as you navigate the confusing mattress landscape. 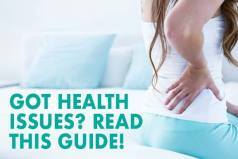 We have also chosen to NOT review certain mattress companies that are unethical and exhibit poor business practices both towards us, as well as to customers. If you don’t see their brand on our site, that’s probably why. As one of the leading review sites, we have every major brand requesting us to review their products – so if you don’t see them here, then that’s why. We don’t want to recommend brands that are dishonest, unethical, and all that. Unfortunately, mattress companies act like used car salesmen sometimes, which is sad – and we want no part in sleazy politics or games. We will let you know that how we feel may not be the same as you may feel. Some people like memory foam, some like latex, some like innerspring coils / hybrids. Nobody can always agree on a personal preference, but we can at least present the facts and our experiences sleeping on these beds. We always recommend testing these beds on your own, taking advantage of the company’s trial periods and money back guarantees, and all that. Just because we like it, doesn’t mean you will. The benefit we have is that we have tested most major brands on the market so we can help you out with choices. And as a recent customer just said, “you actually answer your emails – compared to other review sites that I contacted who couldn’t even give me a reply”. We are here for you. We get a lot of emails and requests for help, and try to answer questions as fast as possible. If we don’t reply to you immediately, feel free to ask again! We are working nonstop to bring the latest sleep products onto our site ( we have added pillows and working on bedding as well), we try to get products lined up to give away, and work nonstop to make our site better. So if we don’t reply right away, we will do our best! We try to also pass on any and all discounts or coupons that these mattress companies provide as a benefit to you, our readers. See our Coupons page for this! If you have any questions for either of us, feel free to contact us at any time!